Presenting 'The Densest Matter in the Universe,' Dr. Edward Brown will explain how recent discoveries in neutron stars and black holes have ushered in a new era of multi-messenger astronomy involving light, neutrinos and gravity waves. 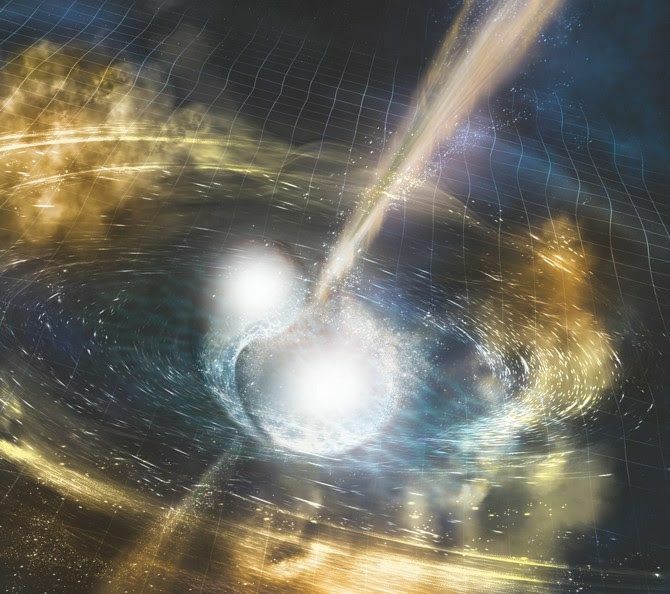 Presenting The Densest Matter in the Universe, Dr. Edward Brown will explain how recent discoveries in neutron stars and black holes have ushered in a new era of multi-messenger astronomy involving light, neutrinos and gravity waves. The presentation will be held on Thursday, October 18 at 7 p.m. Hosted by the Grand Rapids Public Museum and the Grand Rapids Amateur Astronomical Association, the presentation will take place at Schuler Books, located at 2660 28th St., SE. Dr. Brown is a Professor of Physics and Astronomy at Michigan State University. He has studied high density physics within celestial bodies and exploding stars, a cutting edge subject in his field. Brown also holds a joint appointment to The National Superconducting Cyclotron Laboratory and is a native of Ohio.